Jon is employed in the private sector and is currently pursuing many interests. Jon is the best grille cook we know and an excellent chef. Truly a ‘big hearted’ guy with Hannah. 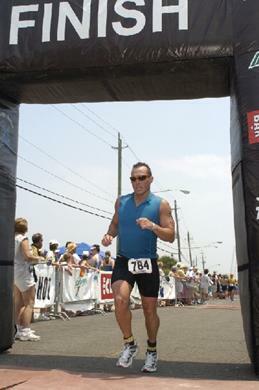 Jon FINISHING his first 1/2 Ironman Race! Jon graduated from Ferris State University with a BA in Business Administration.